--- Please Select --- .22/.32 .357/.380 .44/.45 .38 .50 cal. 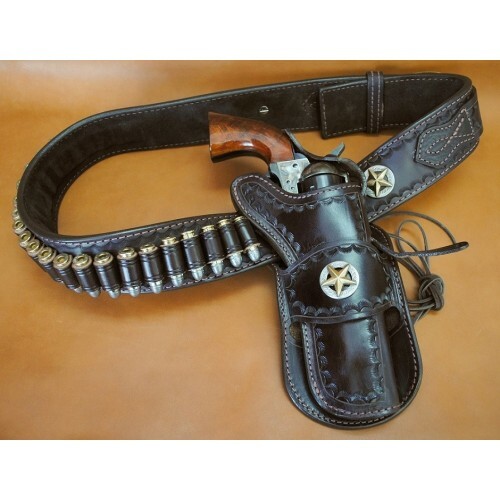 The Stoner Western Belt is available in any caliber from .22 to .50 cal. Holsters available in 4 5/8", 5 1/2" and 7 1/2". Holster configurations include right hand and left hand. Please specify your gun's length and waist size. Note: Add a minimum of 4 inches in the area where the belt will actually be worn. For additional holsters or accessories, please visit our Western Section.